Good news - we will be hosting our first annual iScrub User Group Event at APIC 2018. Register via the app by June 13th, 2018! Record hand-hygiene observations more efficiently! Failure to perform proper hand hygiene is one of the leading preventable causes of healthcare-associated infections. 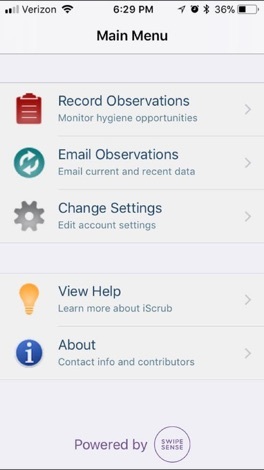 iScrub Lite is an application for healthcare professionals who wish to monitor hand-hygiene compliance without the time-consuming and error-prone use of clipboards and transcription. 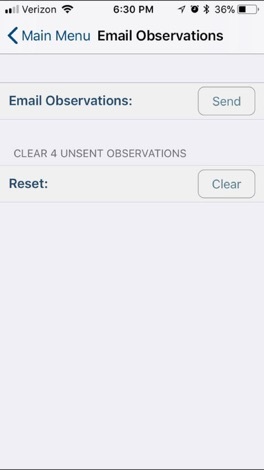 Use iScrub Lite to record observations annotated with time, location and job role. Transferring data from iScrub Lite is as easy as clicking "Email Observations". * an intuitive interface that allows observers to quickly capture information about hand-hygiene opportunities. * iScrub Lite is customizable. 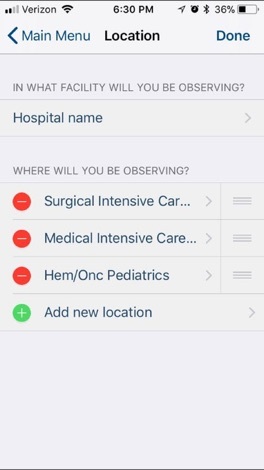 You can edit the default lists of locations, job types, and observation notes to suit your institution's needs. 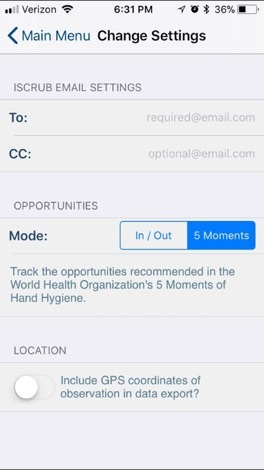 * defaults to recording In Room / Out of Room opportunities, but also has a setting to enable observing the World Health Organization's 5 Moments of Hand Hygiene. * knows what personal protective equipment is necessary for contact, droplet, and airborne isolation conditions. * keeps a copy of the last 5 sets of observation data and can resend the corresponding emails. * exports a spreadsheet compatible with popular spreadsheet applications (e.g., Microsoft Excel, Apple Numbers, or OpenOffice.org Calc) whether you are on a Mac or PC. * record facility name and latitude longitude coordinates of observations. We're always looking to improve our application. Please e-mail iscrub@swipesense.com with any specific requirements that your institution would find useful. 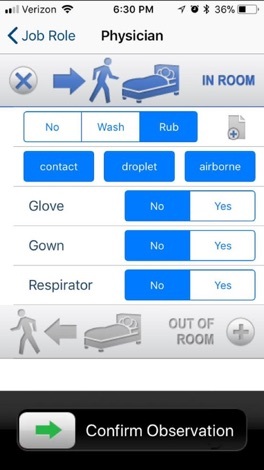 iScrub is brought to you by SwipeSense, a pioneer of electronic hand hygiene monitoring technologies.